Indie Retro News: OpenBOR - 2D side scrolling engine gets an Amiga port! OpenBOR - 2D side scrolling engine gets an Amiga port! A nice bit of Amiga news to the end the week as the 2d side scrolling engine of ' OpenBOR ' has been fully ported over to the Amiga thanks to lantus360, although you will need at least an Amiga with a fast 68040 AGA or RTG to play it. 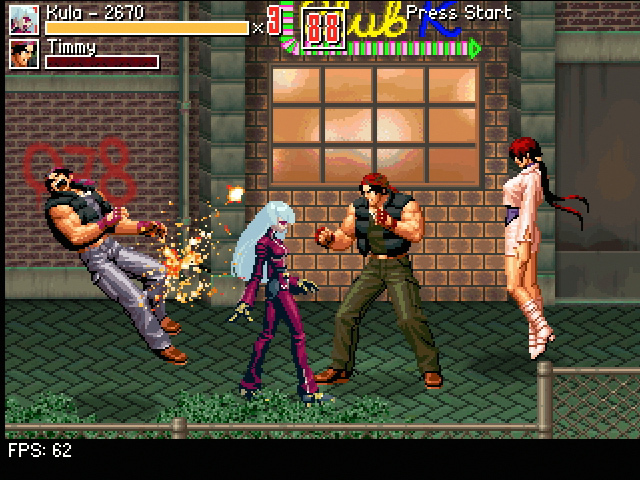 If you're wondering what OpenBOR is all about, it's an open source continuation of Beats of Rage and Streets of Rage and is regarded as the single most powerful two dimensional sprite based engine in the world, which has been used for countless freshly designed beat em ups from fan based developers. Another interesting fact for you, this engine isn't just primarly used for great beat em ups designed in that Streets of Rage style, but it can also be used for designing Shoot em ups, RPGs and even platformers. So you can see why this latest port could well be a huge asset for Amiga owners, even if you need a powerful Amiga at the helm. You do not need an account to sign up or log in... Feel free to post a comment as a guest user. Please dont spam! Help keep the retro alive! Revision 2019 was incredible, and EON on the Amiga blew us away! HOT NEWS! Super Mario Bros has been released on the C64! Could the Laser Disc version of Dragon's Lair be coming to the C64 or is this really JUST FOR FUN? Rivalry - Bombastic experience of a C64 demo by multi scene gurus! 1337 Karate - Fight the competition in this Karate game released at Revision 2019. Lumberjack Platform - Tree chopping Amiga game is now a charming platformer! Planet Cloudius IX - 90's inspired Commander Keen game gets a release! Contact us : Admin @ indieretronews.com. Powered by Blogger.